Rotating your crops helps to prevent depletion of nutrients, reduces pests, and is overall beneficial in improving your vegetable garden's production. This is a guide about how to rotate your crops. By the time the summer growing season ends, your garden soil has been depleted of many of the essential nutrients needed to sustain plant growth. Amending your soil with compost and manure is a great way to add those important nutrients back into your soil. Planting cover crops will not only add to your soil's fertility, but it will lock those nutrients into your soil and prevent them from washing away with spring rains. Prevents Soil Erosion: Leaves and roots keeps topsoil stable and prevents nutrients from being washed or blown away by the elements. Assists In Weed Control: Outcompetes winter weeds for nutrients and crowds them out. Protects Soil Microbes: Supports worms, beneficial insects and other garden friendlys and protects them from exposure to ultraviolet light and extreme temperature swings. Helps Build Soil Fertility: Decomposing leaves, stems and roots of cover crops release stored nutrients into your soil and provide organic matter for next year's crops. Improves Overall Productivity: Helps improve your soil's structure, aeration and water and nutrient holding capacity. Cover crops fall into two main categories: legumes and non-legumes. Within these groups are cold and warm season species that will work for every garden in every growing zone. Like the peas and beans you grow in the garden, legume cover crops convert nitrogen from the air and deposit it back into your soil. 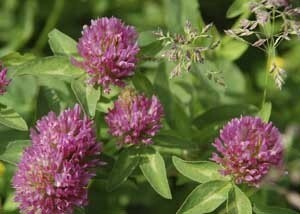 Examples of cover crops that are legumes include clovers, hairy vetch, and alfalfa. Non-legume cover crops do not add nitrogen to the soil, but they provide more top growth, contributing more organic matter overall. They are also less susceptible to viruses and less apt to give soil-borne diseases safe harbor over winter. Examples of non-legume cover crops include annual ryegrass, barley, oats and winter rye. To give your garden the nitrogen boost crops need, while building up your soil's organic matter, try to mix one legume cover crop with one or more non-legume cover crop for the best benefits of both worlds. Early fall is the optimal time to plant cover crops-after your garden is finished producing. September through mid October is a good time for zones 3 to 7, and October to Mid-November are good months for zones 8 to 10. A local feed or farm supply store will be able to supply you with inexpensive, good quality seed. They will also carry the varieties best adapted to your regional growing conditions. Avoid "feed-grade" seed if possible. It's more likely to contain weed seeds. If you can, clear the crop residue from your garden and till it before you plant your cover crops. Prepare it as though you were planting a crop, adding compost and organic fertilizers, and then raking it smooth. Broadcast the seeds of your cover crops by hand, spreading them fairly thickly, approximately two seeds per square inch. Don't worry if you have some late season crops in the ground, just scatter the seeds under their leaves and forget about them. After sowing your seed, rake the soil gently so the seeds are buried about _ inch to 1 inch below the surface of the soil and then water them. In colder climates, cover crops will start off growing in the fall and die off in the winter-turning into a wonderful mulch. In the early spring, simply turn under the decomposing leaves, stems and roots of the annual cover crops (like oats), and the emerging perennial cover crops (like winter rye) into the top 4 inches of the soil. By the time you're ready to plant, your cover crops will be totally broken down. In warmer climates, plant cover crops during your gardens rest period. They will attract beneficial insects to your garden while providing nutrients and organic matter. Before your cover crops go to seed, turn them under. Let them decompose a few weeks before resuming planting. 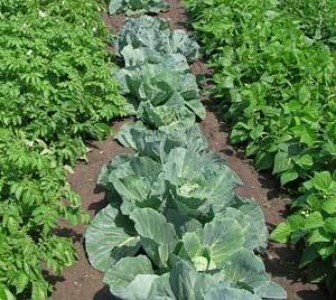 Crop rotation is the practice of growing related crops in different areas of the garden in consecutive years. Rotating crops helps maximize yields by making the most efficient use of the nutrients in your soil, and reducing the likelihood of soilborne pests and diseases. Reduces soilborne diseases The principal reason for rotating crops is to prevent a buildup of harmful soilborne diseases. Crops from the same botanical family are susceptible to the same pests and diseases. If the same crops (or their relatives) are grown in the same soil every year, their vulnerability to certain diseases increases rapidly. For this reason, members of the same vegetable family should be rotated from one section of the garden each year, and only rotated back to their original spot every 3 to 4 years. Maintains soil fertilitySome crops are heavier feeders than others. For example, vegetables in the legume family, including peas and beans, fix nitrogen in the soil and make it available for the next crop. Following legumes with nitrogen-hungry crops such as cabbage, broccoli, or spinach makes the best use of soil nutrients and helps maintain fertility. Different crops also remove different amounts of minor nutrients from the soil, such as iron and magnesium. By moving crops around from one year to the next, you will help prevent the soil from becoming depleted of nutrients. Controls weeds Due to their growth habits, crops like pumpkins and potatoes cover the soil so well that they smother most weeds. Following them with crops that are difficult to weed, such as carrots and onions, helps keep weeds under control. Improves soil structure The roots of plants penetrate the soil at different depths. Alternating between vegetables that have deep roots and shallow roots has a positive effect on the structure of the soil. Several vegetables, including perennials like asparagus and globe artichokes, do not fall into any of the main vegetable families. Because these stay in place for several, they are best grown in a permanent bed of their own and not rotated. 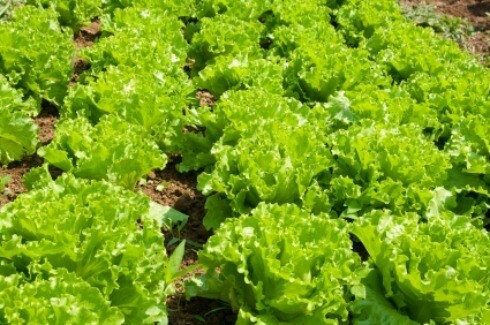 Because salad greens stay in the ground for only a short time, they can be used to fill in or grown in between other plants. As with other vegetables, they should not be grown in the same area year after year. Draw up a list of the main vegetables that you want to grow, with a rough indication of quantities. Divide the vegetable garden in sections and group the selected vegetables in their rotation groups. Make a separate list of miscellaneous vegetables not in the main groups and use these vegetables to fill in bare spots. Think about how each crop affects the soil. It is a heavy feeder, a light feeder, or a soil builder? When possible, try to alternate heavy feeders with either light feeders or soil builders. Heavy feeders: tomatoes, broccoli, cabbage, corn, eggplant, beets, and leafy salad greens. Light feeders: garlic, onions, peppers, potatoes, radishes, rutabagas, sweet potatoes, Swiss chard, and turnips. Soil builders: peas, beans, and cover crops like clover. The following plan is only meant to serve as a rough guide. Many factors, in particular the weather, will have a direct bearing on the success and failure of your crops. The key to success lies in keeping accurate records of your planting and remaining flexible to making necessary changes in your plan. 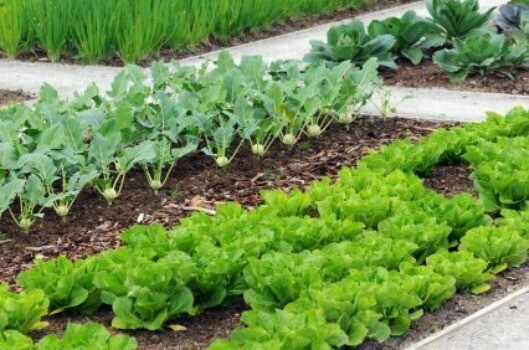 One of the best ways to maximize vegetable garden production, while minimizing problems with pests and disease is by practicing crop rotation-planting your crops in a different place in the garden each year.